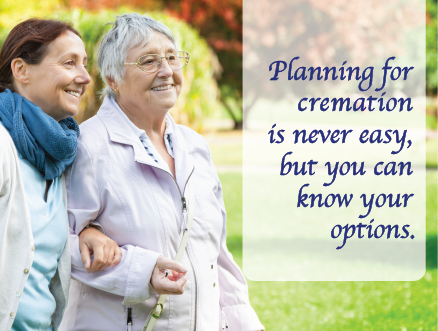 Our cremation services are designed to help families celebrate life. As with all of our efforts, we provide a high level of personal attention and support for those choosing cremation. By focusing on your wishes, we can help you create a simple and meaningful cremation service that will be of value to you and your family. There are several options available. You may choose a ceremony of remembrance, or a simple gathering as a way of saying "goodbye". There are many ways to personalize the experience, and we are here to help you in planning a celebration of life. We think you will find that Speaks is the Kansas City area cremation provider which brings unparalleled integrity to each cremation. That is why we are the Kansas City area's cremation experts and one of the few family owned and operated cremation and funeral providers left in the Kansas City area. Our cremation services are affordable and provide you and your family with the value that you expect and deserve. You have our guarantee. We are the area experts on cremation and will be glad to help you. We are members of the Cremation Association of North American (CANA) and therefore hold ourselves to an unusually high code of ethics in how we operate our crematory. Standards of care are important when considering cremation. As a full-service cremation provider, we operate our crematory in a different manner than discount operations or other full-service providers. We own and operate our own crematory and are proud of the level of professional care that we devote to the cremation process.